The innate and simple beauty of Mazda’s ‘KODO–Soul of Motion’ will again dazzle onlookers at Milan Design Week, 14-19 April. 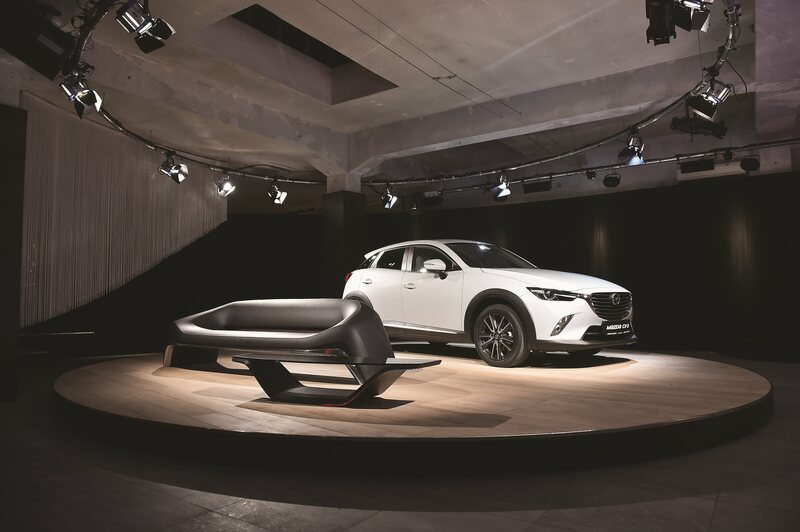 In keeping with its tradition of creating functionally beautiful objects, such as the KODO-inspired chair in 2013, Mazda has chosen two ‘Soul of Motion’ inspired creations to showcase at its recently opened Mazda Design Space in the Brera Design District Fuorisalone.
. Both design creations epitomize the ‘KODO – Soul of Motion’ design; emulating the dynamic beauty of wild animals’ movement – effortless and powerful. The Bike by KODO Concept embodies the ‘less is more’ philosophy of Japanese art and design, reimagining the modern racing bicycle. Mazda craftsmen distilled its frame’s design to its purest form evoking lightness, agility and speed. The Sofa by KODO Concept employs this same premise, conceptualizing the intrinsic beauty found in the ideal balance between form and function. Here, Milan-based creative directors Setsu and Shinobu Ito, both Mazda Europe designers, and skilled Italian furniture makers collaborated to marry Mazda’s aesthetic sensibility with old-world craftsmanship. Also on display at the Mazda Design Space are KODO inspired works by master Japanese artisans, including the copperwear creation KODOKI by the storied Gyokusendo studio and SHIRAITO, a lacquered box using crushed eggshells, by Kinjo-Ikkokusai, a family of seventh generation craftsmen from Hiroshima.